Vintage Homes of Denver Denver Architects - William Lang: Denver Homes & Real Estate - Vintage Homes of Denver, Inc.
Born in Ohio in 1846, William Lang was the oldest of Abraham Lang's ten children. The family lived a boom and bust lifestyle, chasing entrepreneurial rainbows from Ohio to Oregon with time spent in Illinois, Iowa, Kansas, and Nebraska. Father and son served in the Civil War for the state of Illinois, both being discharged with forgettable service records. The Lang sons and their father undertook a variety of businesses afterward. Unfortunately, their collective past is full of lawsuits, foreclosures, and other legal troubles. However, you can't but admire their undaunted spirits and imaginative career choices. William Lang, though possessing a shorter resume than his father, is known to have owned and operated a grocery store, been a candy maker, worked as a carpenter, and he even dabbled at being a coal baron. Even William Lang's first foray into the real estate development game ended in failure. In fact, every business that he, or his father, attempted ended in ruin with foreclosures, repossessions, unpaid debts, and court proceedings. The family even turned on each other in several business dealings. William Lang married his wife Delia in 1877 in Kansas. 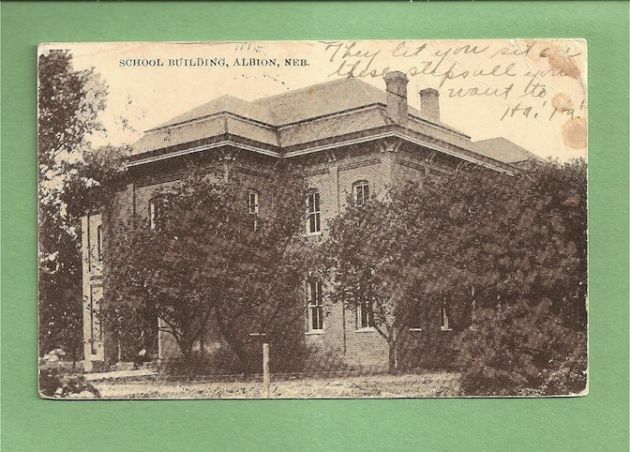 In 1879, the couple moved to Albion, Nebraska and in 1882 their only child, Mabel, was born in the same town. In 1883, Lang's seemingly profitable grocery store was sold off to pay unpaid debts that he had incurred around Albion. Luckily, this is the same year that he decided to be an architect. Though he had no training in the discipline, in the 1884 building boom in Albion, Nebraska he is listed as an accomplished architect. In 1885, the William Lang family decided to move further westward and found themselves in Denver. Arriving with a bonafide trade did wonders for the success of the family. Lang's love of Victorian lines, extravagant facades and eclectic finishes made him an instant hit with Denver's newly wealthy elite. His use of the Richardsonian Romanesque style, when combined with his unique additions of gargoyles, stained glass and other extravagant details, made for whimsical structures that speak the the exuberance of the age. Perhaps his most famous project was the home at 1340 Pennsylvania for the Large family. The Large's sold their home in 1894 to J.J. and Molly Brown, better known as the "Unsinkable Molly Brown". 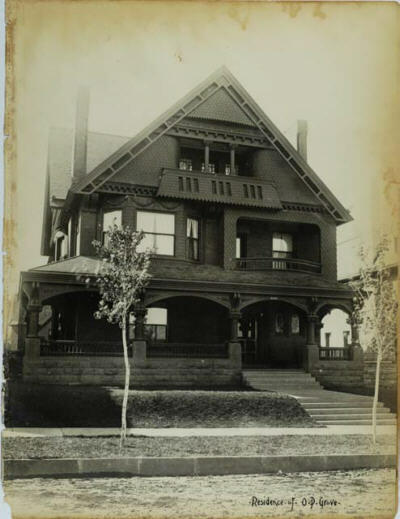 The home was saved from demolition by Historic Denver in 1970 and is now the Molly Brown House Museum. William Lang grew so popular that the elite Denver clique, the "Sacred 36", had him logged as a member. 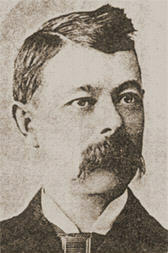 In time, William Lang was credited for the design of over 250 buildings in Denver, though he may have been responsible for even more. 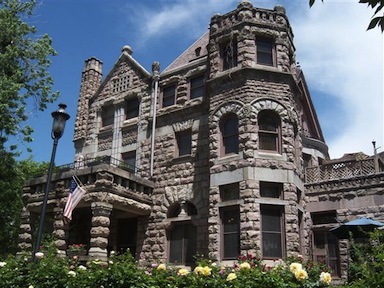 Some of his most noteworthy, other than the Molly Brown House, are the Castle Marne (1572 Race Street), St. Mark's Parish (1160 Lincoln Ave.), and the Ghost Building (800 18th Street). Lang's hand can be seen throughout the Denver landscape. Though many of his structures have fallen victim to the hammer of demolition, several still remain. His characteristic style and use of large, chunky stone and turrets make his work easily identifiable. In 1889, Lang took on Marshall Pugh as a partner, though this addition did not seem to affect the aesthetics of Lang's designs. Lang also employed Reinhard Schuteze for a time, the designer of some of Denver's most fantastic outdoor venues including Washington Park and City Park. In 1893, Denver experienced a severe decline after the repeal of the Sherman Stamp Act. This drastic change set off the Silver Panic of 1893 and halt all business and development. People lost their fortunes overnight, as did those who depended on them to scatter their wealth around. William Lang took the devastating turn of events badly. Not only did the well of clients dry up, but those who had money to build where no longer interested in Lang's over-the-top Victorian designs. Lang's partner, Pugh, had left the practice and the Lang family was again in financial ruin. In 1896, Lang's membership in the Colorado Chapter of the American Institute of Architects had lapsed after he failed to pay the annual dues. Though he managed to design a handful of homes after the Silver Panic, he had clearly lost his edge, both professionally and personally. Delia left him in 1895 and moved to Chicago, and in 1896 he suffered a complete mental collapse. Amid the legal troubles surrounding his failed architectural business, William Lang had been diagnosed as having "nervous prostration and softening of the brain". His dementia forced him to relocate to Englewood, IL where his brother took over his care. Lang's mind continued to deteriorate and he was soon unable to remember his address or his birthday. Though there had been some speculation that perhaps alcohol or some other addictive substance was responsible for the sudden decline, there is evidence to suggest otherwise. In August of 1897, William left his brother's home and wandered to a nearby town. Not being identifiable and unable to tell authorities his address, he was sent to the local jail. However, his personal state was so disgusting that the jailer refused to allow him to enter the building and bade him to leave town. It was after this order that William Lang stumbled onto the local tracks and was hit by the morning train. Of course, he died instantly. It is believed now, with the advances of psychological medicine, that William Lang may have suffered from manic depression. This would surely explain a life that was spent chasing dreams and digging out of the ruins they left behind. But, to be sure, William Lang made Denver a more interesting and beautiful city for having chased at least one tiger's tail this direction. 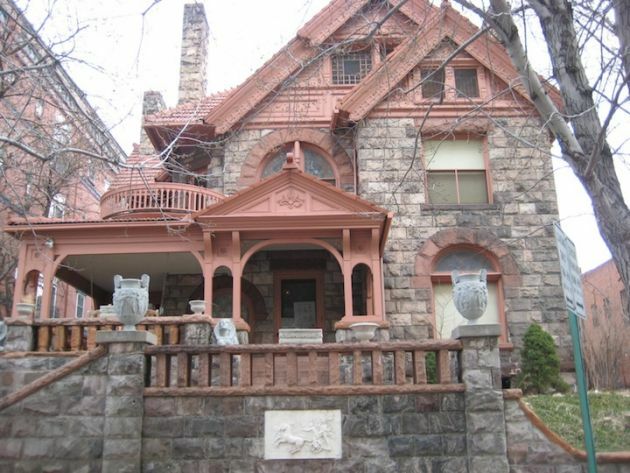 If you would like a tour of William Lang's distinctive homes, or any other Denver homes, please contact Jesse Sehlmeyer of Vintage Homes of Denver at 303-564-2245.